What do I do with an old ladder? At Byers, it is no secret that we want you to stay off the ladder, and with over 20,000 injuries and 115 fatalities related to ladders a year, can you blame us? Once you have LeafGuard gutters, you might feel like your rickety old wooden ladder is just taking up space and gathering cobwebs. 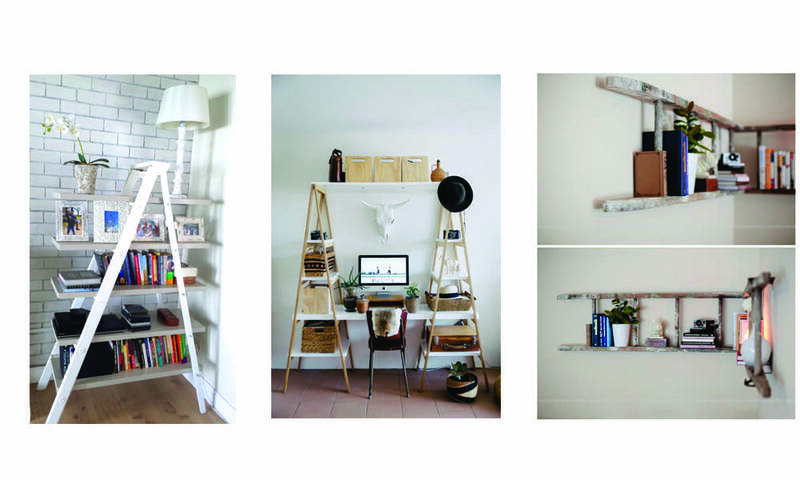 We have discovered some creative ways to upcycle and repurpose your ladder. Most of these methods will work with wooden or metal ladders. If you have a metal ladder you could just remove the stickers or you can spray paint your ladder to add a bit of color. You can sand and paint your wooden ladder or keep rustic! Here are just a few ways you can put that old ladder to good use or you could always ask our install team to recycle your ladder! One of our favorite upcycle ideas is to create a bookshelf! There are a lot of variations on the ladder bookshelf so you are sure to find one that works best for your space, as well as, how easy of a DIY you want to do! Are you a plant lover? 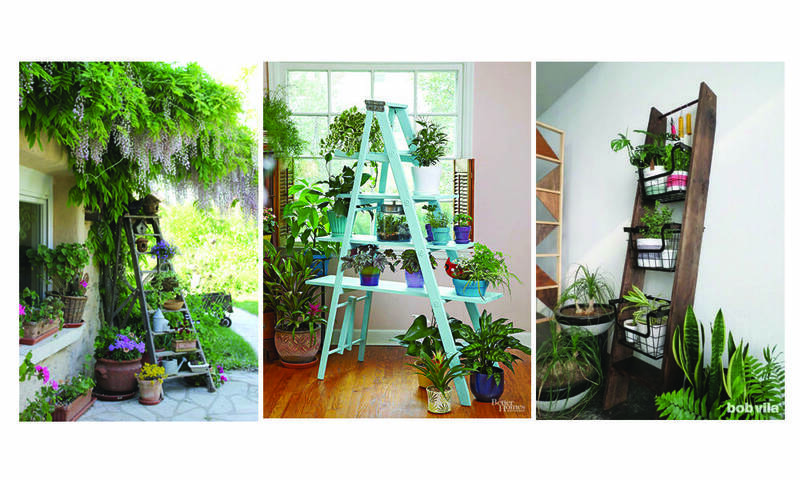 We love incorporating plants indoors but having a Using a similar method to the bookshelf you can also use your ladder to hold your plants. You can also remove the rungs and use metal open baskets or use wooden dowels and S-hooks to hang your plants. Need more storage in your kitchen? 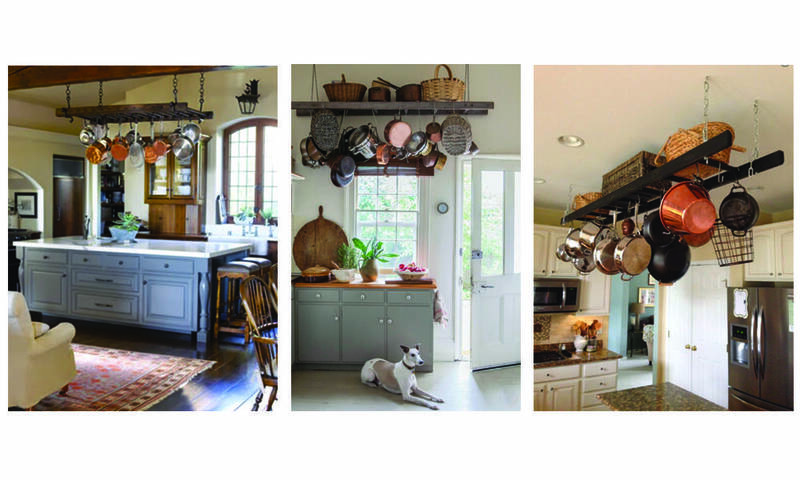 Want to keep your pots and pans in arms reach when you need them? This might be the perfect DIY for you. Remove the rungs to your wooden ladder and replace with wood dowels. Use S-hooks to hang your pots and pans from your wooden ladder. 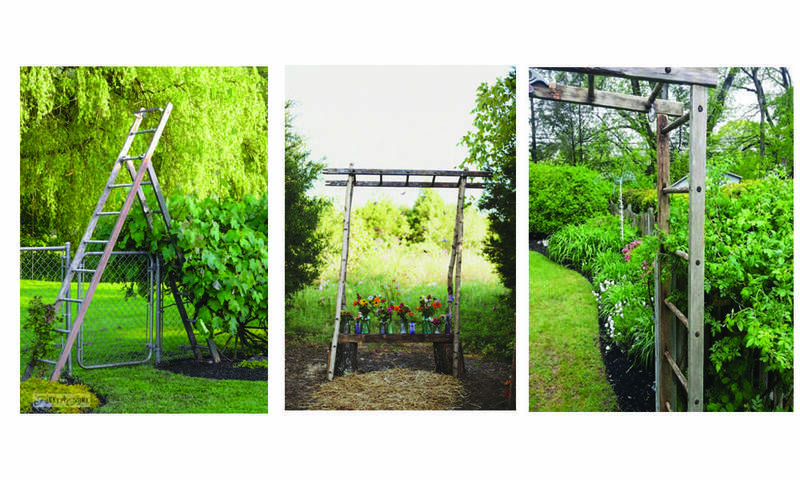 Use your old ladder to create an archway into your garden! The ladders also work well for supporting climbing plants and lights so you can see your way! This is perfect for the woodworker! 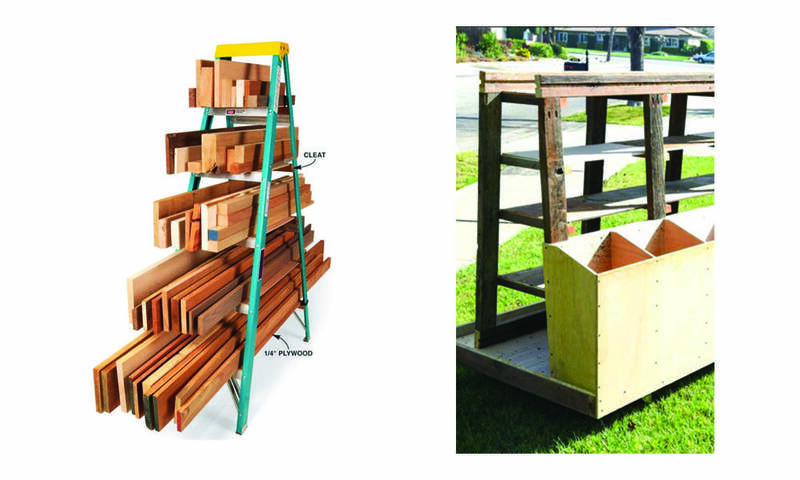 Hang your old ladder on the wall and organize your wood planks and scraps by size. Keeping them up off the ground will also help keep them dry. The Best Time for Solar? Now! Avoid troublesome gutter clogs and the hassle and potential damage that come with them. NO CORNERS. AND NO WORRIES. Investing in LeafGuard Gutters is the right choice for your home! Our roofing shingles look great and deliver lasting protection. When it is time to replace your roof, we believe in providing the very best roofing option. Harness the power of the sun to save on monthly energy expenses. Learn how installing new solar panels can save you money. Increase your home's efficiency while reducing monthly energy costs. Our clean-energy solutions can have a big impact on your home. Make your property more usable, enjoyable, and safe! Take measures to protect your home and family from fire.